A quality, German-made combination analog thermometer and hygrometer, this comfort indicator offers excellent readability, highlighting the comfort zone: between 18 and 22°C for temperature and between 46 and 68% for humidity. Best used indoors or in a place that is protected from the elements. In theory, you don't need to calibrate the factory settings, especially for the thermometer (reliable, sturdy bimetal technology). If the need arises, it can be calibrated by using a thin, flat screwdriver to change the position of the adjustment slots on the back of the case (for the thermometer, see the hole on the bottom right). 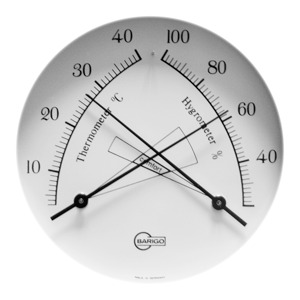 If you are using your thermometer-hygrometer in a very dry environment, you should regenerate your hygrometer ever 3 to 6 months by putting it in a container filled with water (see instruction manual) for a few hours. 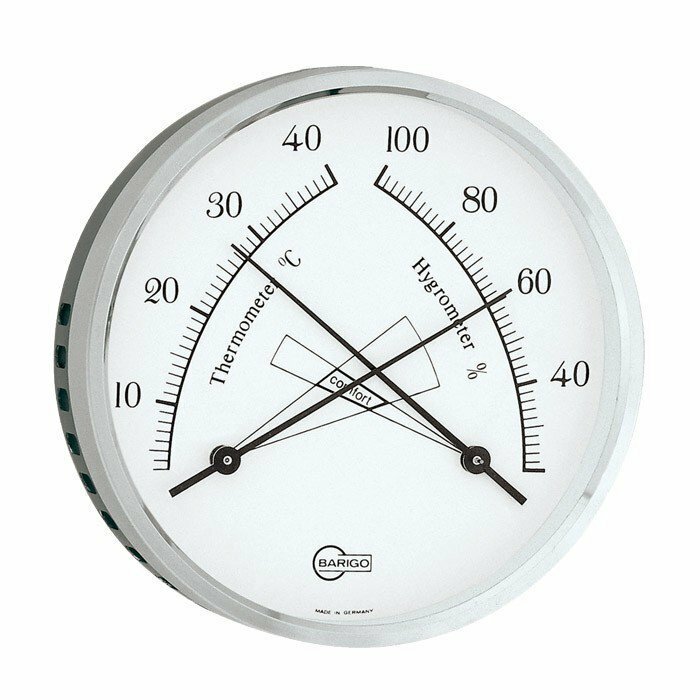 You can then recalibrate the hygrometer manually by changing the position of the adjustment slots with a thin, flat screwdriver. 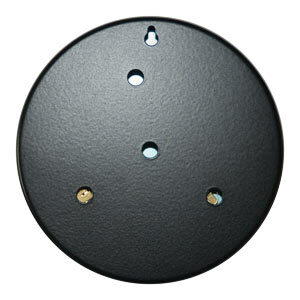 This comfort thermo-hygrometer should be hung on the wall using a small hook, a nail, or a screw with a width of not more than 5mm, which is the size of the hole on the back of the case. Perfected in 1781 by eminent Swiss naturalist, mountaineer, and geologist Horace Benedict de Saussure, the hair hygrometer is the ancestor of the spiral technology used in this comfort thermo-hygrometer. analog - aside from regenerating the hygrometer from time to time, there is no maintenance and no batteries to change. elegant and readable - Compatible with any interior decor, this comfort thermo-hygrometer is always elegant as well as readable thanks to its two needles and read-at-a-glance comfort zones. quality - Made mostly by hand in Germany at Barigo, measurement instrument specialist since 1926.